Imports: Get the Brand New Toyota Rush 2018 Model - CarMax East Africa Ltd.
2018 latest model of Toyota is dubbed ‘Rush’ was launched recently. 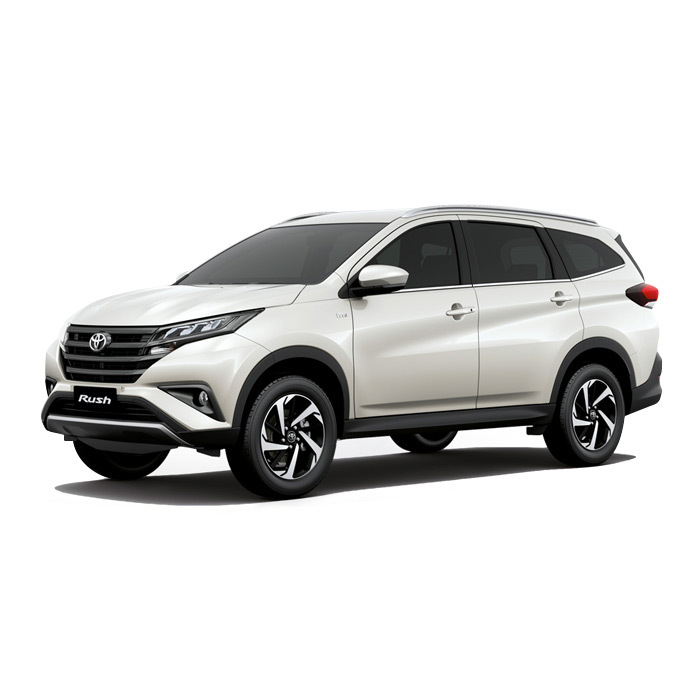 It is a 5 to 7-seater model which has a design close to the Toyota Fortuner. The interesting bit about the Rush is that it’s more affordable and compact considering it is more like an SUV. Exciting features that make the Rush stand out include; up-swept LED headlamps and a four-slat grille. The Toyota Rush comes in two variants that are the 1.5 E which is a 5-seater and 1.5 G that is a 7-seater. Both are suitable for carrying luggage and passengers. However, there are a few differences; a good set of 17-inch wheels and roof rails are specially made in the 1.5 G variant. It also has a push start button, reverse parking camera and a tilt adjusted steering. Both have a 1.5-litre dual- VVTi gasoline engine which is almost similar to a Toyota Avanza but beats it because the Rush engine can hold 102hp and 134 Nm in a s-speed manual and 4-speed automatic. More so, it comes in six colours. How cool is that? We can import a brand new one for you. Get in touch with us.